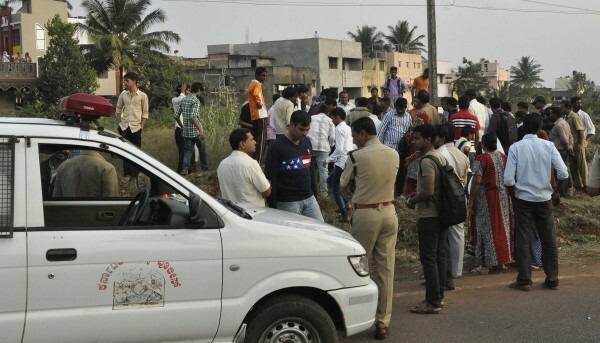 The Stray dogs menace has once again spread panic in Belagavi city with killing of a four months old baby near Dharmanath Bhavan in Shivbasav Nagar on Thrusday evening. A auto driver saw a Dog feasting on something and he later realized it to be baby and went near the Dog and it was a terrifying scene to see the dog feasting on the infant. People ran in and threw stones at the dog to free the infant from the clutches of the dog. It is unclear if the dog killed the infant or was the body picked up by the dog from somewhere. A case has been registered. Even there are some six to seven stray dogs in ma lane in tv center where i stay and today morning i saw four more puppies, there will be small kids playing around near ma home, so please can any one tell me how to contact the municipal people to get rid of these stray dogs. Raju is right: Whose baby is this and how careless those parents be who did not run after the dog and somebody else is finding it out. But its equally true that stray dogs are menace specially for morning walkers and children. but whose that baby…….no one given there name…. I request you to please edit the title of the post ‘Stray dogs kills four months baby’, b’cos their is no evidence & as mentioned it is unclear if the dog killed the infant or was the body picked up by the dog from somewhere. Please don’t send unclear & misunderstanding message to Belgaum Public. Animals & human co-existence should be respected by each on of us. Please take immediate action reflecting on this incident, since stray dogs are menace to the people to freely move around the city limits. There is always some kind of tension when stray dogs are around the vicinity.